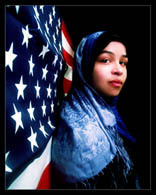 We serve as a resource to government agencies – including the State Department, the Department of Justice, the Department of Homeland Security, the Treasury Department, and the FBI – with the purpose of providing a critically-needed Muslim American perspective on important policy developments both domestically and internationally. For each of these issues, we publish policy papers, hold Capitol Hill briefings and forums to inform the policymaking community, organize Community Townhall Forums to mobilize Muslim Americans to get involved, and conduct legislative and governmental advocacy to inform the policymaking process. We have a vested interest in protecting our families, our communities and our country from acts of violence by any perpetrator. We meet regularly with government agencies to identify effective means of fighting terrorism that also respect Constitutionally-protected activities. 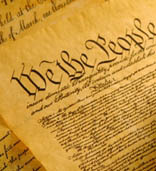 One of our core commitments as an organization is to uphold our Constitutional values, and preserve liberty, equality and justice for all. We work with a wide variety of public officials, community organizations and civil rights organizations to protect the civil rights of all Americans. Religious freedom is a core American value protected by the Constitution, and ensures that people of all faiths are allowed to practice their faith free from intimidation and discrimination. Intolerance and xenophobia go against core American values, and require immediate and aggressive action. 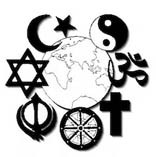 We work with our allies to provide education and promote interreligious understanding among people of all faiths. MPAC-DC engages with the State Department and numerous elected officials on a variety of foreign policy issues. Our analysis and policy recommendations are rooted in upholding America's national interest and image around the world, as well as our core Islamic value of justice.